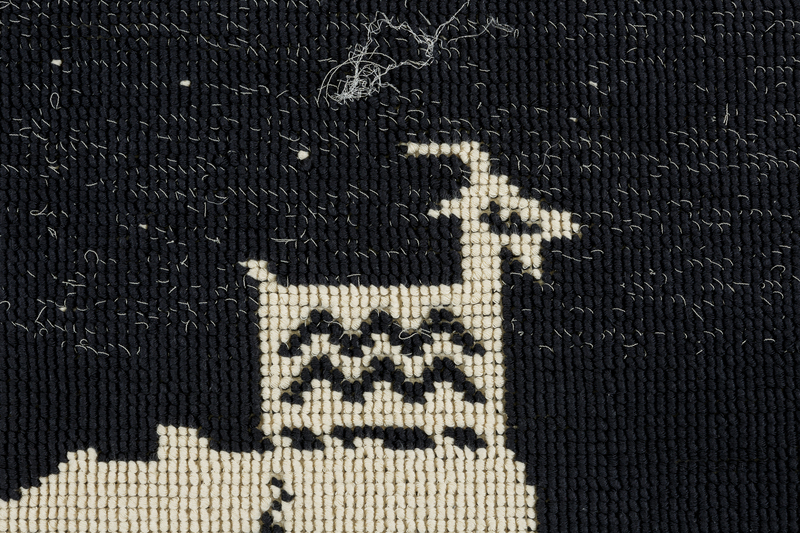 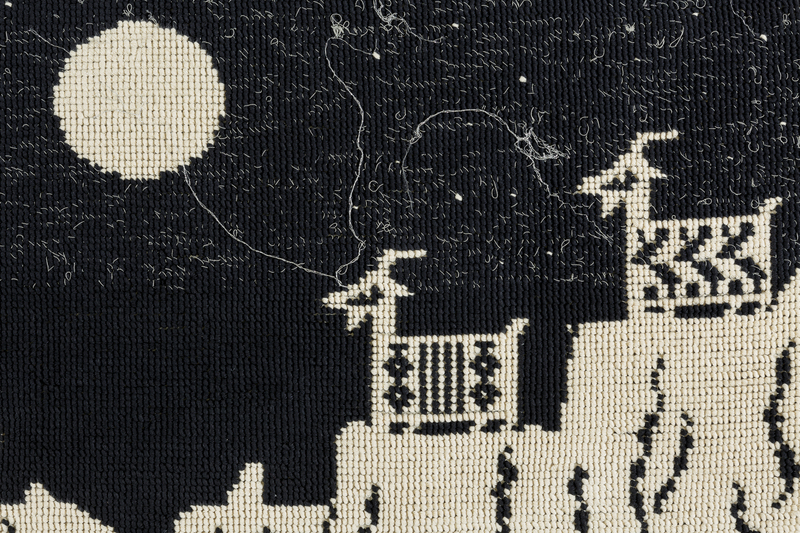 The tapestry with the fairy tale of the goat is a heartfelt dedication to the artist Maria Lai, designed by the Su Marmuri weavers and given to the artist for her ninetieth birthday in 2009. 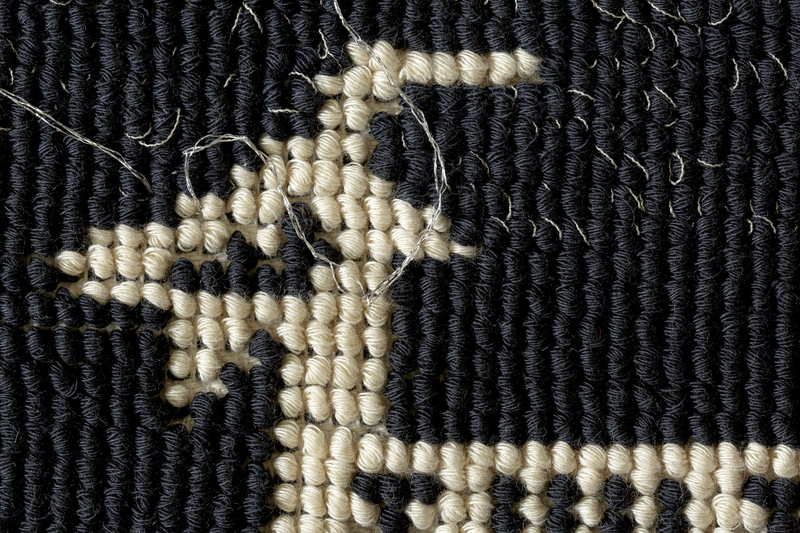 It reproduces the distinctive goat in an original composition inspired by a traditional fairy tale of Ulassai. 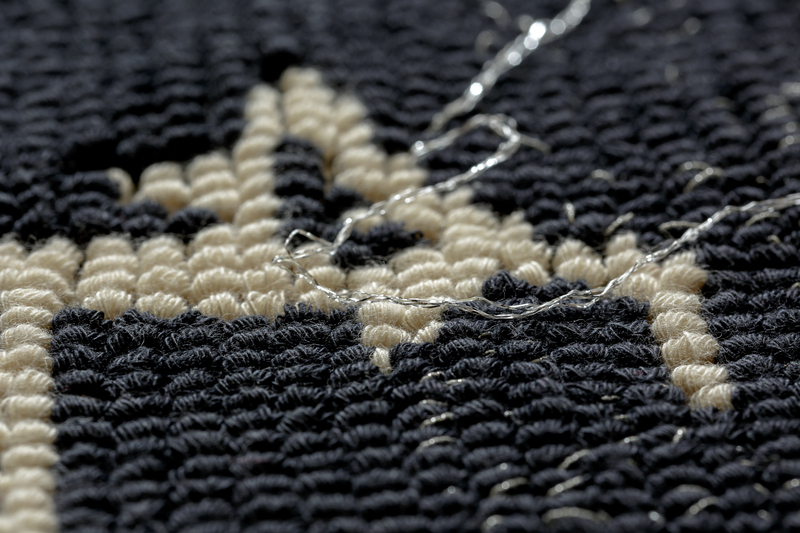 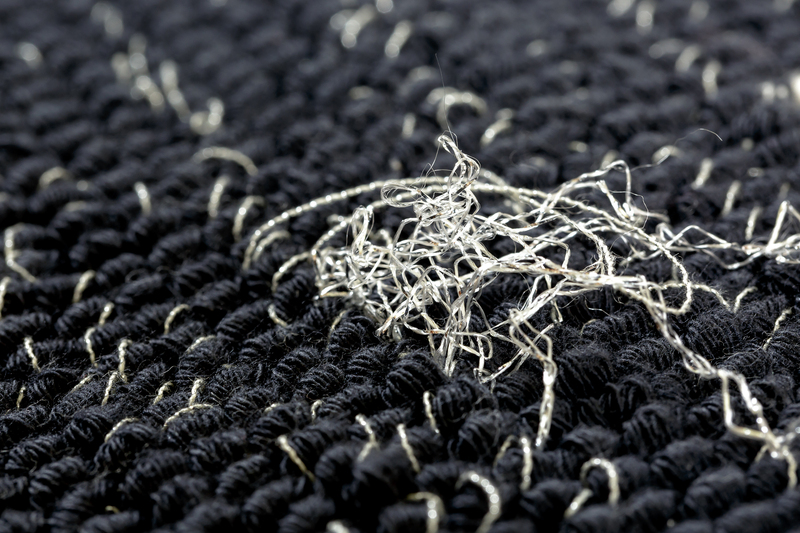 Handcrafted with the full-bodied (tutto pieno) pibiones relief technique, it stands out for the sophisticated use of silver yarns against a black background to convey the effect of the starry sky.